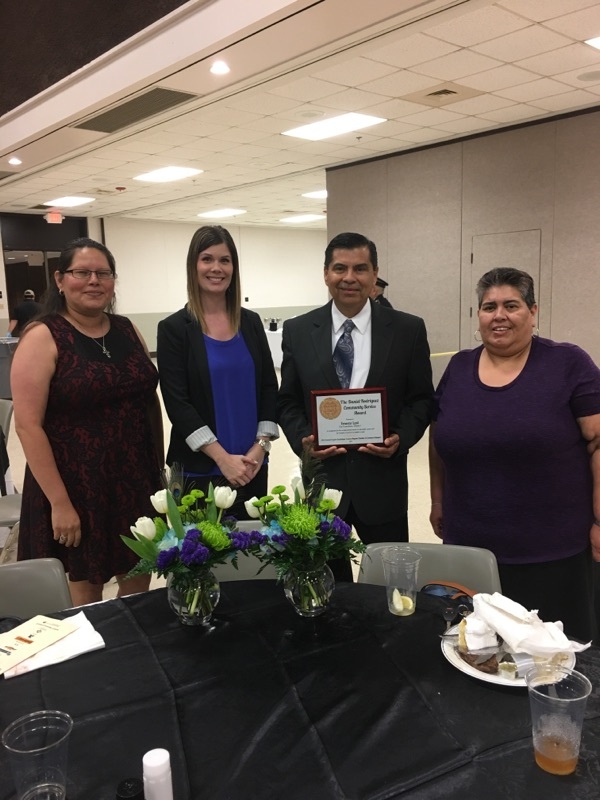 On Thursday, March 23, 2017, CCSCT staff attended the Seguin-Guadalupe County Hispanic Chamber of Commerce 29th Annual Banquet. 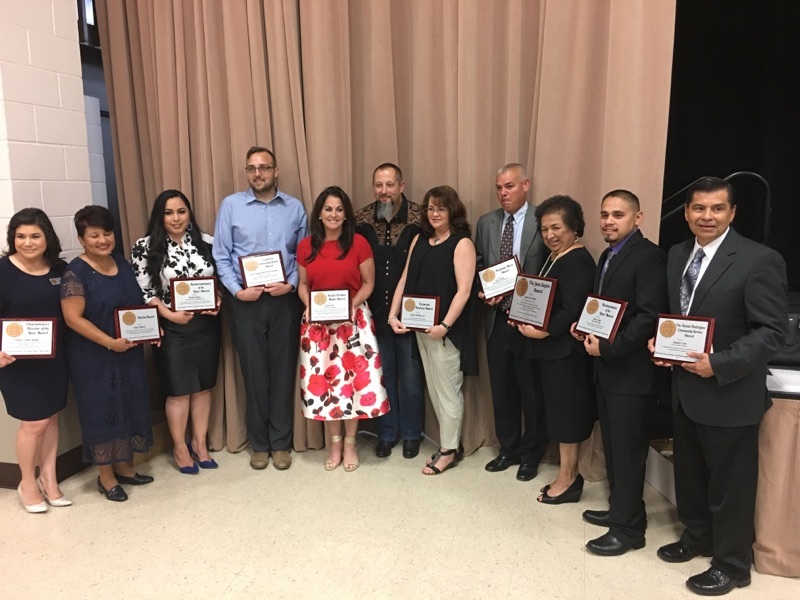 The Annual Banquet recognizes individuals who have made contributions to their community. 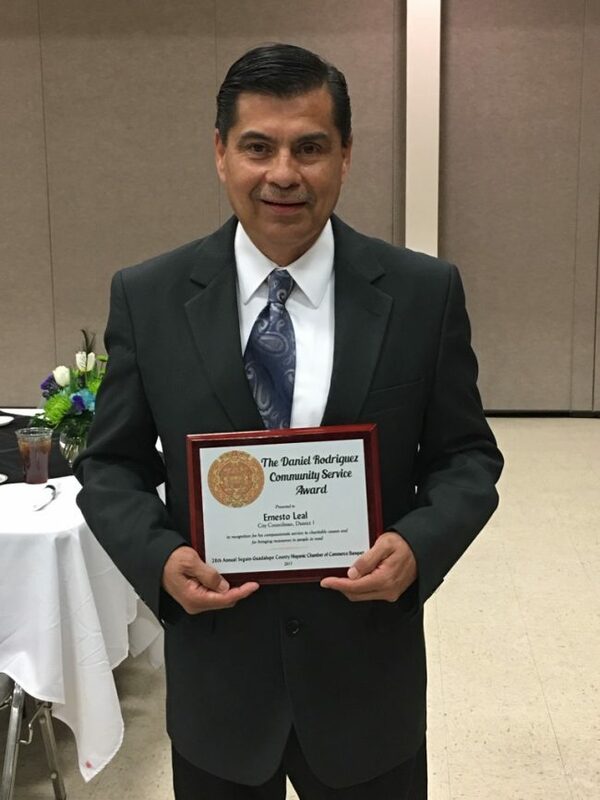 One of CCSCT’s own, Ernest, Leal, CCSCT County Coordinator for Guadalupe County, was the recipient of the Daniel Rodriguez Community Service Award, which recognizes outstanding achievements in community service. 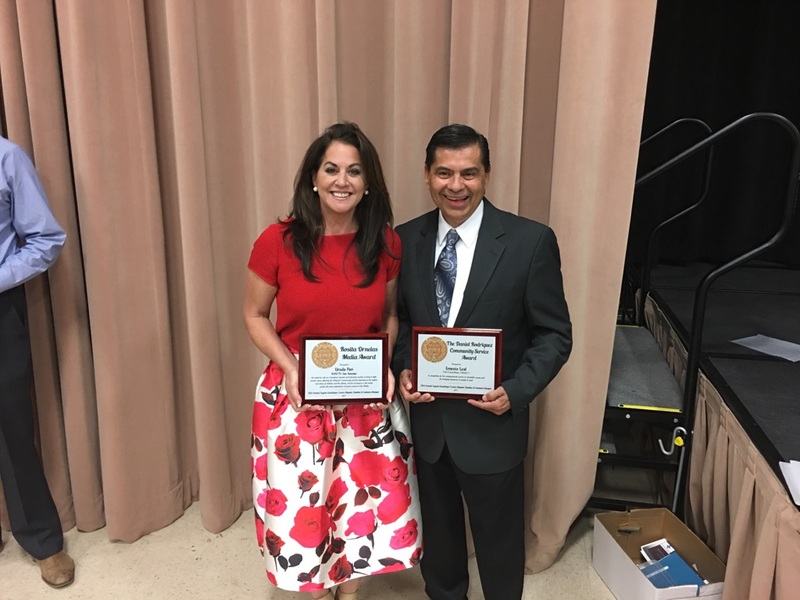 Ernest has contributed to several successful community projects with his most recent contribution being the coordination of the Children’s Coat and Heater Drive in December 2016, which provided 183 coats and 107 heaters to low-income families in Guadalupe County. In addition to working for CCSCT, Ernest serves as City Councilman for District 1. 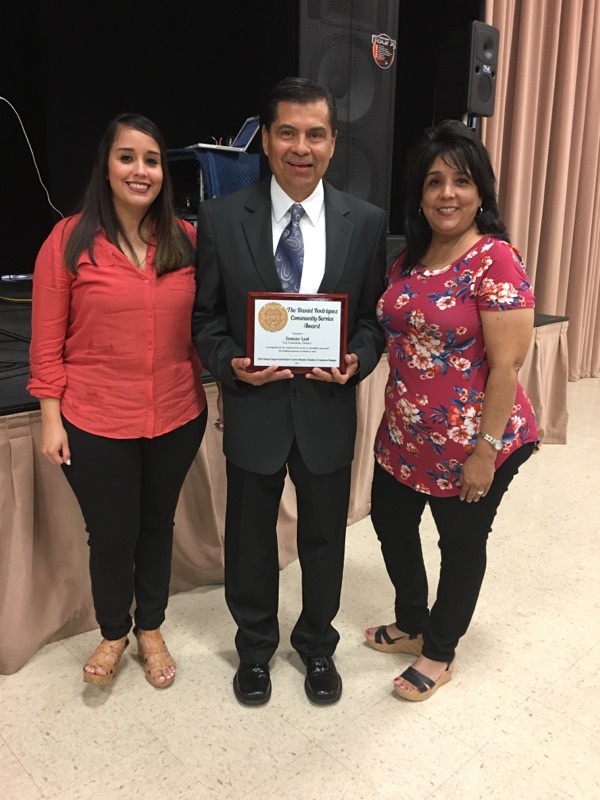 CCSCT would like to congratulate Ernest on this prestigious award.